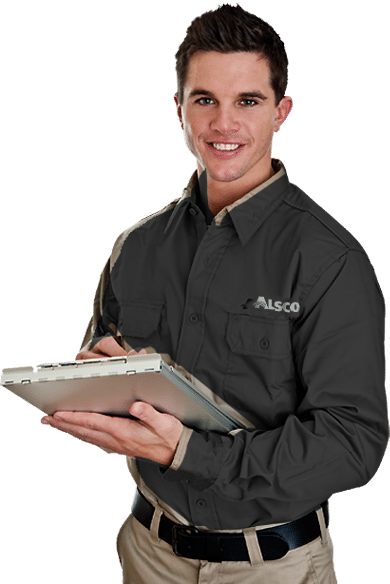 Let the Alsco Ecosafe Washer quickly and safely clean your machine parts using bioremediation – a 100% natural alternative to nasty, toxic solvents in your workplace. 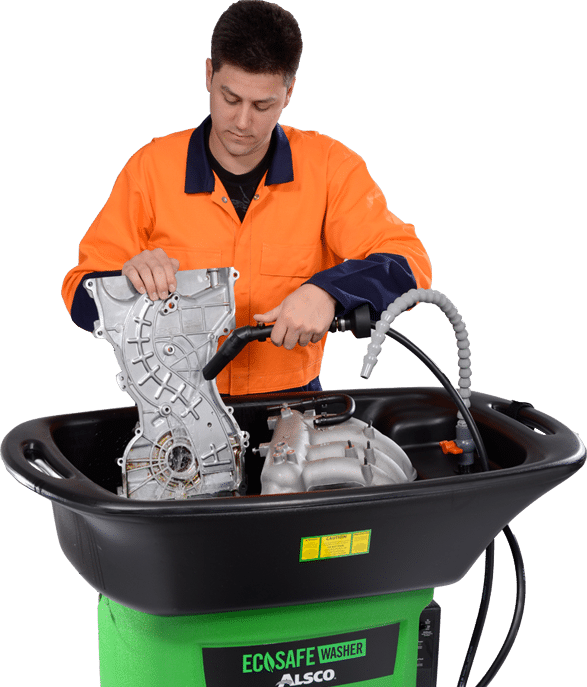 High-power tap A constant stream of heated OzzyJuice helps quickly clean dirt and grease from your hands and machine parts. Quick-cleaning brush A sturdy, flexible brush makes cleaning machine parts as easy as doing the dishes. Smart and Strong Sturdy and robust tank which holds up to 250kg of parts. No sharp edges on sides of tank and a convenient height that allows for easy loading and unloading of machine parts. 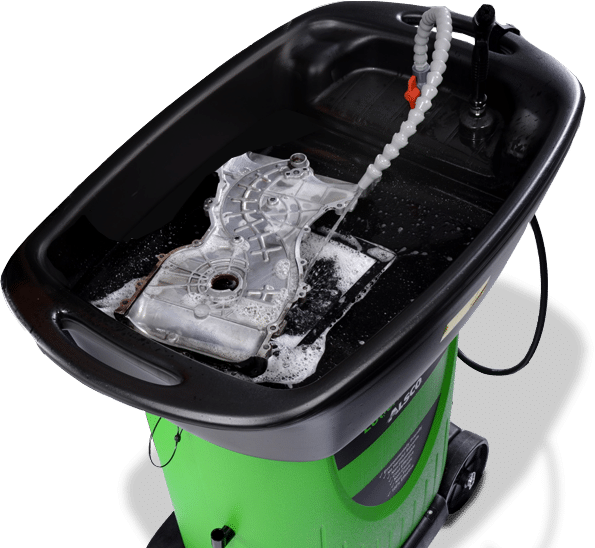 Pump system A powerful pump system keeps dirtied OzzyJuice filtered – making sure warm, clean OzzyJuice is available as soon as you switch on your EcoSafe. Control box Your interface for turning the EcoSafe on/off – and provides electricity to the pump and heater (via a 12’ power cord). Non-toxic OzzyJuice 100% safe OzzyJuice uses microbes that break grease down into carbon dioxide and water in an instant. Highly-mobile Sturdy 8” wheels make sure you can easily take your EcoSafe almost anywhere – in your workplace, or out. The Ecosafe Washer is safe to use, cost effective and remarkably strong. The system employs a natural process called bioremediation that converts hydrocarbons to water and carbon dioxide, with no waste produced. 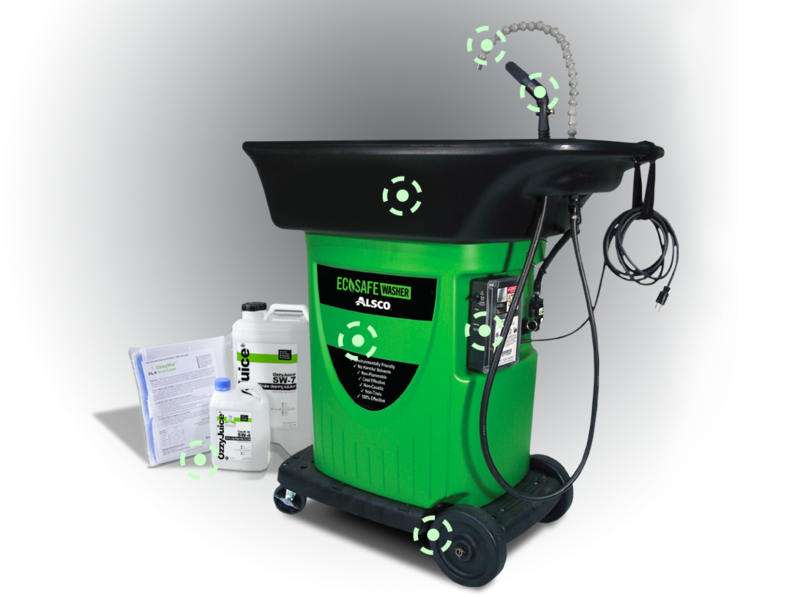 It’s the safer, economical solution to cleaning engine parts without the need for solvents. For a demonstration fill in the form or call 1300 136 784. 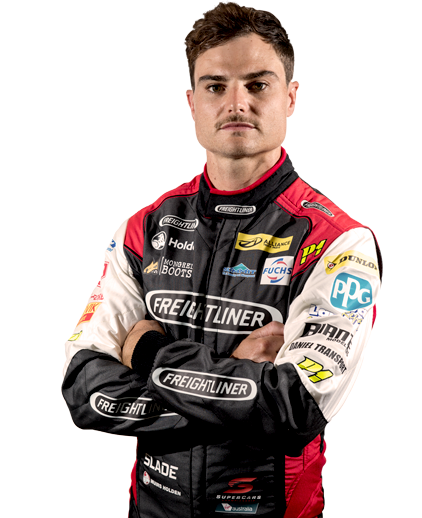 “In the high pressure world of V8 Supercars, we need products that can compete at the highest level. The Alsco Ecosafe parts washer offers the Brad Jones Racing team the highest performance clean without the health risks associated with solvent based washers.” – Tim Slade, Driver Team BOC. a microbe-impregnated particulate trap called OzzyMat. Bioremediation is the use of biological agents such as microbes or plants to break down or neutralise “hazardous substances” or “contaminants” thereby removing dangerous chemicals in the environment. The process of bioremediation is listed as one of the Environmental Protection Agency’s (EPA) innovative technologies. 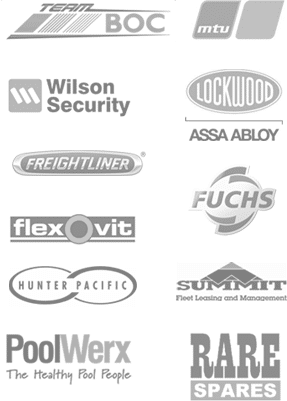 Alsco’s managed rental service is designed to give you peace of mind, with no upfront costs. You’ll pay a convenient, fixed monthly rate – no capital outlay required. You also won’t need to service or maintain anything. 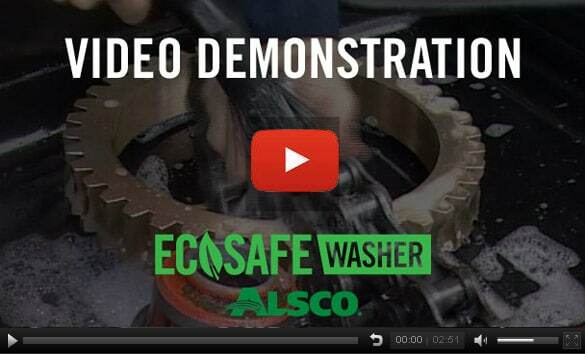 Alsco visits regularly and ensure that your EcoSafe Washer is working perfectly. It’s the smart, economical and hassle-free solution to to cleaning oil and grease off mechanical parts without harmful solvents. Get an obligation-free quote now!